There is a stream that runs down the side of the lower terraces and crosses the property between the lower and upper terraces. 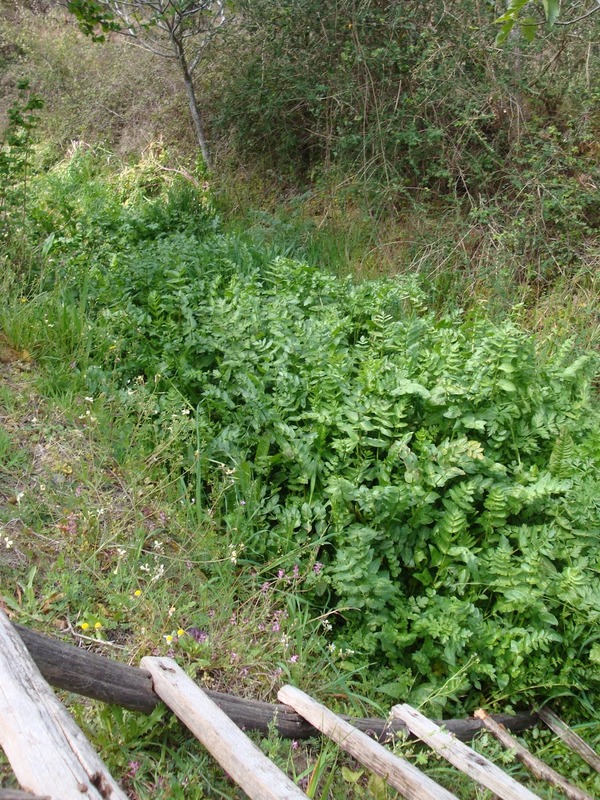 When we had seen the property the previous year and in fact when I visited in January the stream was free running and clear of weeds. 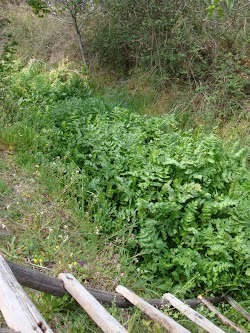 Now although the water was flowing, it was deep in a celery type weed, which was anything up to 3 feet high. We had found some old scythes in the hut, plus we had brought some secateurs with us so the challenge was on. It was hard work, even Teresa found it hard, but it was extremely satisfying when you looked back. I found it really hard, my back was really painful, (have I mentioned this) and the up and down didn’t help, but I was determined. 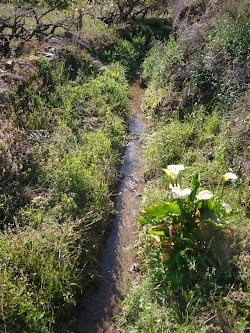 It took us three days in total over the course of the week to clear the entire length of the stream, every night back to the hotel, I would have to sink down in a bath of hot water to try any relax my back, each day it got a little better, but I really wished I had been more careful on day 1, oh! well lesson learnt. Teresa was a brick, very supportive and worked really hard clearing the majority of the weeds, I did my bit, as you can see, but I think Teresa did the most of the work. Each night we laughed about coming on holiday and working harder than we do at home. It was a different sort of work, really manual and tiring, but so very satisfying.